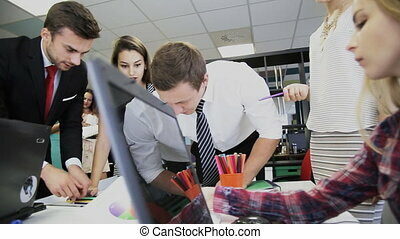 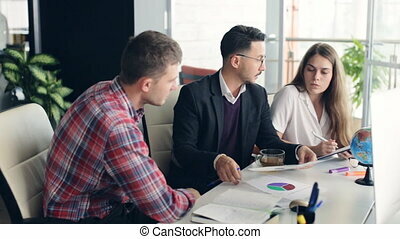 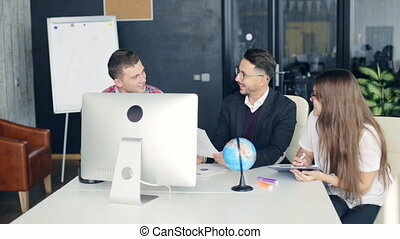 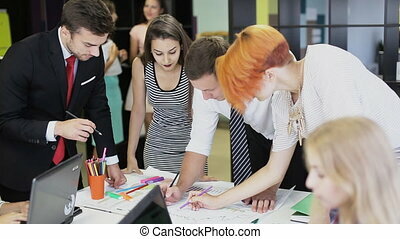 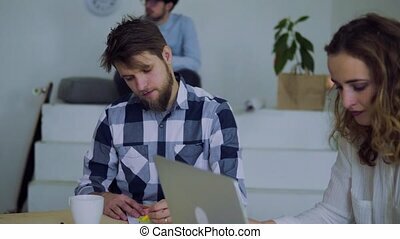 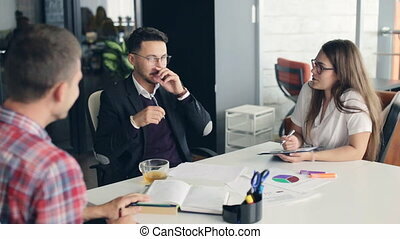 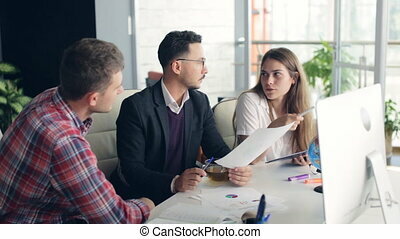 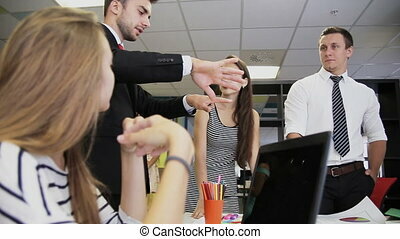 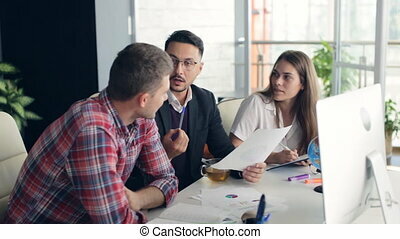 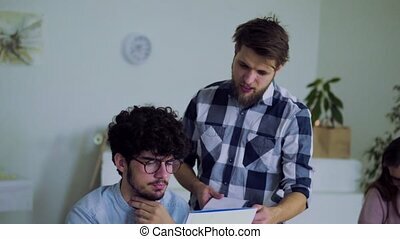 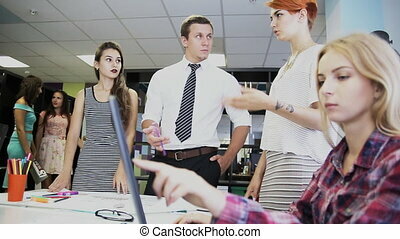 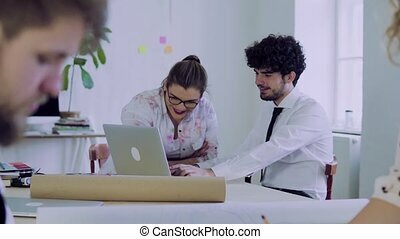 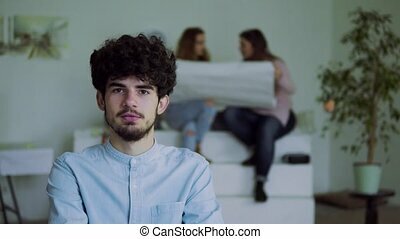 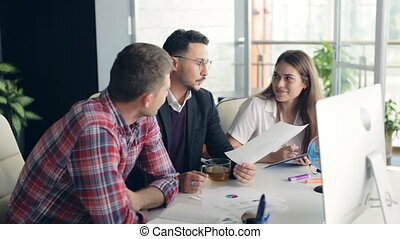 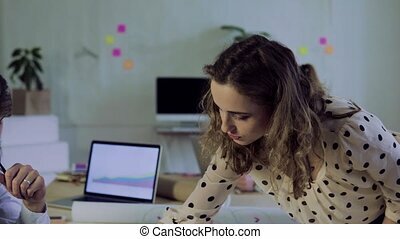 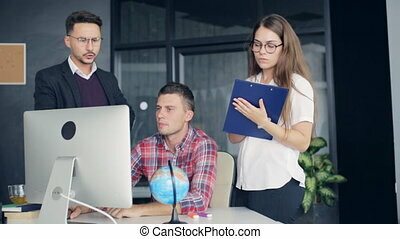 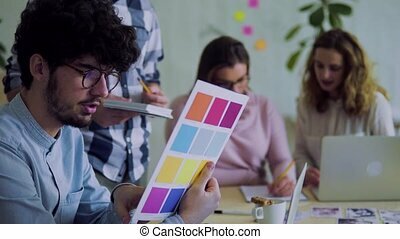 Group of young business people working together in creative office. 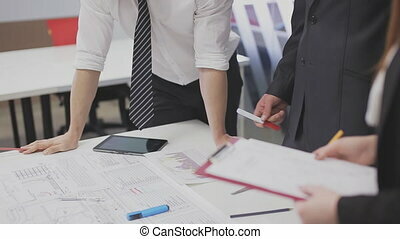 Working on project in company. 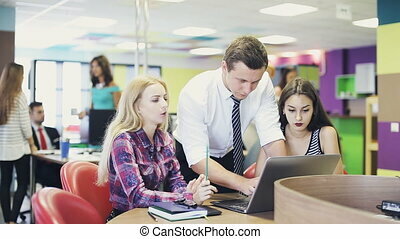 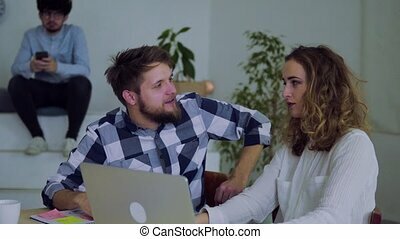 Group of young people working together in an office. 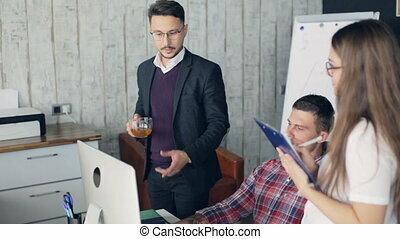 Start-up business. 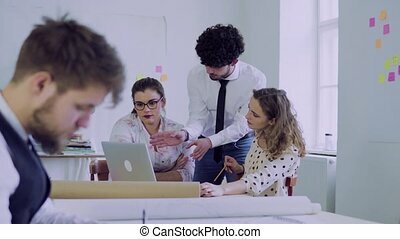 Team work. 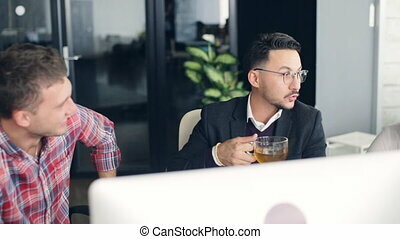 Photo young businessmans team working with new startup project in modern office. 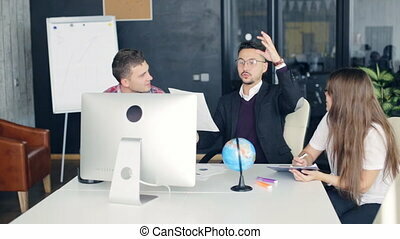 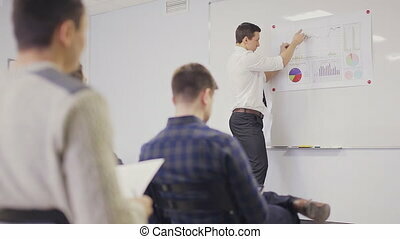 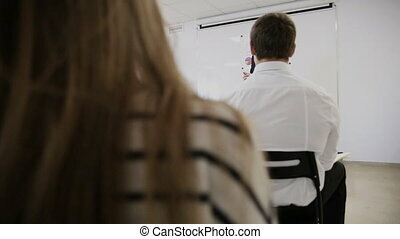 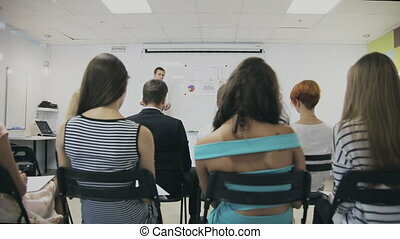 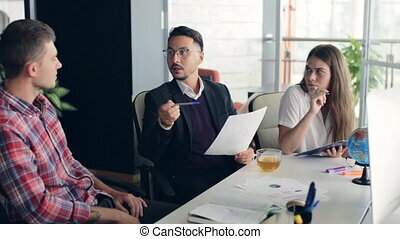 team of professionals discusses the project, brainstorming in a business meeting.